This review series brings you the books that have influenced some of my favorite tea book authors. Jane Pettigrew is today's guest. Jane is the award-wining author of 17 books about tea. Her most recent book is World of Tea. 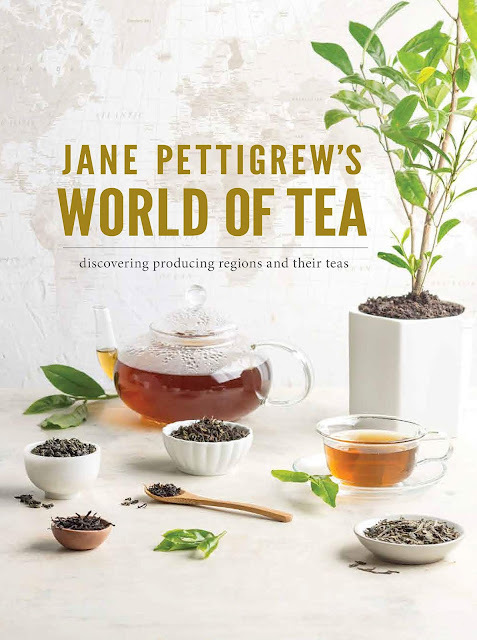 Jane Pettigrew's lastest book, World of Tea, is aptly named. I dare you find a more comprehensive resource about the current state of tea. One of the wonderful aspects of World of Tea is the breadth of coverage of tea cultivation. In 434 pages she writes about every country on each continent that produces tea. Almost half of those pages are devoted to Asia which makes sense; China, India, Japan, and Taiwan are tea meccas. There are 17 states in the U.S. producing tea. I hear a lot about Kenyan tea but there are 19 other countries producing tea in Africa. Tea is even produced in Oceania -- Papua New Guinea, Australia, and New Zealand. Jane Pettigrew also makes the basics of tea interesting. Her chapter on origin and terroir, species and cultivars, and harvesting and processing is not a regurgitation of information you've read elsewhere. She presents new details about these subjects. Also, the graphics and photographs describing tea processing provide a fresh perspective. Here are three of the books that have influenced the career of Jane Pettigrew, a well-regarded authority on tea. This two-volume work was one of the first books I came across at The British Library in London when I started researching the history of tea. William Ukers investigated and documented every possible aspect of tea - history, cultivation, processing, ceremonies, tea businesses and tearooms, tea politics, tea regions, and so much more. I was fascinated at the breadth and depth of his writing and of the subject and the more I read, the more I was drawn in. A friend gave me a copy of this book in 1988 and I have treasured it ever since. This is the book that captures people's souls and spiritual understanding of the importance of tea in our everyday lives. It is the true tea bible that keeps us on the right path and reminds us constantly of the need for tea in our lives. Anyone who cares about tea should carry this book with them through life. I discovered this book during my first explorations into tea history at The British Library and found so many references to British history and tea's importance in London, my home town, that I simply had to obtain a copy for myself. That book has been on the shelves of my study since 1985 and I still dip into it from time to time to check a date, a place, or an event that shaped our tea history. Mr Forrest's work led me from an understanding of the British tea story to a desire and need to know more about the tea history of other nations. And I'm still learning. 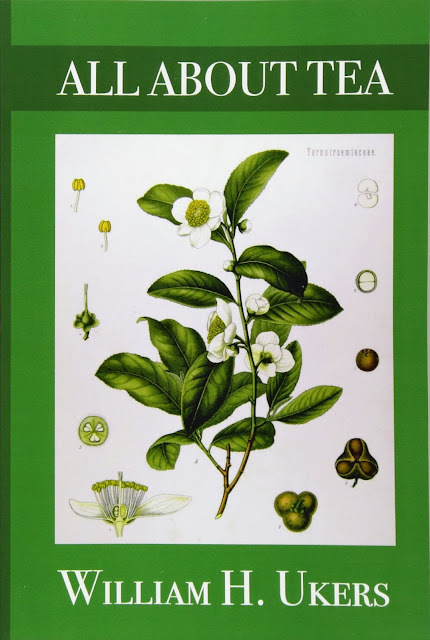 I am a fan of the botanical illustrations on the cover of Ukers's All About Tea. This book in particular looks like a gem. Thank you Jane for sharing these influential books with us. Share the books that have influenced your journey as a tea drinker, blogger, or book author. This blog post contains an Amazon affiliate links and images.